Today is a sad day, every day is a sad day, but this time three years ago we announced when William’s funeral would be. Instead of uploading hundreds of photos that all seemed to look identical, William covered in paper and sellotape, playing with the boxes that the toys came in, instead we were inviting people to his funeral. Christmas, a time of year that over the centuries has evolved from its very religious beginnings, now a commercialised time of year, that we all use as an excuse to down tools and spend time with our loved ones. Who can blame you? No-one needs an excuse to see that joy on their little ones faces, that excitement of knowing Father Christmas is coming, writing a letter to Santa, leaving a mince-pie, carrot and a tipple for Santa on Christmas Eve, visiting any number of events laid on by local attractions for our children to sit on Santa’s knee, and finally that sound of tiny stomping feet and squeals of glee, when they discover Santa has been, a stocking brimming full of toys that will be played with once, a tree that is barely recognisable under the weight of all the gifts. We have none of that for William. We will never have any of that, not with William. William didn’t get to learn about Father Christmas, William didn’t get to star in his first nativity, William didn’t get to write a letter to Santa, he did sit on Santa’s knee, his bear containing William’s ashes gripped tightly by Santa, but that isn’t what we imagined would be the first time William would sit on Santa’s knee. We didn’t get to track Santa’s sleigh as he visited those in the Far East before he made it to the UK, we didn’t get to buy him a personalised book from Santa. On Christmas morning we awoke to silence, no little feet stomping down the corridor, no squealing, no excited little face, no ‘mummy, daddy, he’s been’. No William. Our floor was clear of William’s wrapping paper, we didn’t have an obstacle course of his toys littered around the house. We didn’t have a little boy to give his first brussel sprout too. We didn’t get to show him a cracker, he didn’t get to wear a party hat or a cute little outfit. We didn’t have the struggle to put him to bed, too high on the simplicity of playing with his toys. We didn’t get to pack him and 500 toys into the car to visit family and friends, where his beautiful smile would make anyone’s Christmas. No, we had nothing of William. Two years ago we went away, we went to stay somewhere completely unfamiliar, needing to get away from the suffocation of William’s absence in our home. But, regardless of where we were, the crushing pain packed itself in our suitcase and followed us. My heart hurts, it physically hurts in my chest, it doesn’t go away when I breathe in or out, whether I lie down or stand up, whether I have a glass of wine or not. My chest is crushed, my heart aching, aching to hold my little boy on Christmas. Three years ago at Christmas William’s fragile and broken body was still with us. I held him for several hours twice on Christmas day. I cried over his beautiful presence, I held him so close, I feared I might squash him. This year, we didn’t even have that. We will never have that again.There are very few that will understand this pain. Paul and I stayed in a beautiful hideaway in Dartmoor National Park, there were families with children there, but we spoke to lots of couples who like us were ‘hiding’. Christmas not a happy time for them either. Some vastly wealthy couples, but grief does not discriminate, a loss of both parents recently meant one couple needed to be somewhere unfamiliar. At Christmas dinner, we had William’s teddy in a high chair, the chap on the next table ordered his parents favourite wine. Simple things, that somehow bring us closer to those loved ones we so desperately pine for. We met a U.S district judge, a man with a very powerful and influential position in society, reduced to tears by William’s story. For some Christmas isn’t a time of joy or craziness, it has become a time of painful reflection. A time that you look at your watch and hope that another hour has passed. Every painful aspect a reminder of what should be, William would have loved the Christmas trees in every room, William would have loved splashing in the muddy puddles in his wellies, William would have loved the array of treats littered around the castle to keep the kids entertained, William would have loved afternoon tea, bitesize little sandwiches, perfect for his dinky little fingers, William would have loved to have found the stocking hanging on our door on Christmas morning, William would have loved to decorate the Christmas tree in our room, William would have loved the table magician, William would have loved the owl that sat on the reception desk, William would have loved watching the hunt as the horses and hounds made their way off the estate, William would have loved to sit in front of the grand fire by the most extravagant Christmas tree waiting for Father Christmas to call his name out to go and collect his present, William would have loved to watch the ferret racing, William would have loved the playbarn, William would have loved everything, but William was robbed of all of those things and we were robbed of William. All I want for Christmas is my son. Just one second, just one cuddle, just one stroke of those chubby little cheeks, just one look at that infectious smile, just one smell, just one touch. Just William. This is a wish that will never be answered. I have felt nothing but guilt, my whole body consumed by Williams last few hours, what must my boy have been feeling, what did he want to say but couldn’t, what sort of mother am I to listen to what I was told to do, what sort of mother am I to listen to people who had no idea what they were doing, not just one person but multiple people, not just once but multiple times. The one thing I wanted to do and prided myself on was protecting my little boy, knowing that no-one could ever protect him and love him like I do. But sepsis does not discriminate, William was not unlucky, William was let down in the most unimaginable way possible. They have taken away our Christmas, our birthdays, every day, our life, our William. No manner of apology or putting right what went wrong will change anything, nothing will bring William back. Nothing can make Christmas bearable. Nothing can take away the fear, the anxiety and the guilt that any mother would feel for not somehow saving her child. During midnight mass in the local church, William’s teddy was wrapped in my embrace, I struggled to make it through the service, the tears came rolling down my cheeks, choking on the tears, the words the heart cannot speak. As I stood, I went to the vicar and I asked him to please pray with me. He held me and William, and he prayed that his little soul would be in peace and to bless his beautiful soul. He also prayed for me, William’s mummy, to find comfort. I am yet to find any. I know that day will come, I know that day will be when I get to join my son again. In a place where there are no hours, days or years, where it is eternity. Where there is peace from this suffering, where I know that I will never be separated from my darling little boy again. A place where the first thing I will do is find my son, and the second will be to never let him go again. On that day, and that day only I will find peace. This year, this Christmas we are blessed with William’s brother, Arthur. Something I could never have imagined three years ago. Something, sometimes I still struggle to comprehend. How can I be so lucky, lucky to have two beautiful children, but for this to be entwined with such pain and loss. As I drink in every movement Arthur makes I am crippled by the movements that William will never make. It is like living in a parallel universe, for every simply euphoric moment with Arthur I am reminded and crushed by the moments that I will never have with William. I feel as though every moment I live I am lost and once again found. Life doesn’t get easier. Christmas doesn’t get better, torn between love and loss. But what these last three years have taught me is that life is so unbelievably fragile. Life is not promised. We are but one breath, one heart beat from it being over. Savour every moment, every breath, be thankful when you open your eyes in the morning and hug your children close. Make your memories today. Love today. Live today. I will never take one single second with Arthur for granted. William, wherever you are my darling little boy. For every step I take on Earth, it is one step closer to you. One day we will be forever. Until then, all of my love is being sent to you this Christmas. It is one less that we have to spend without each other. You would be incredibly proud of your amazing little brother. And for every waking moment, everyday is Christmas day, every day brings with it your greatest gift to daddy and I, Arthur. There is no greater gift, than life itself, and mummy cannot articulate how proud she is of you for giving your life to save others. And mummy wants to say thank you. Thank you for giving me Arthur, thank you for saving my life, and thank you for making me the person that I am today. Without you, I would be a shadow. You have bought me into the light and through Arthur you have once again given me light. 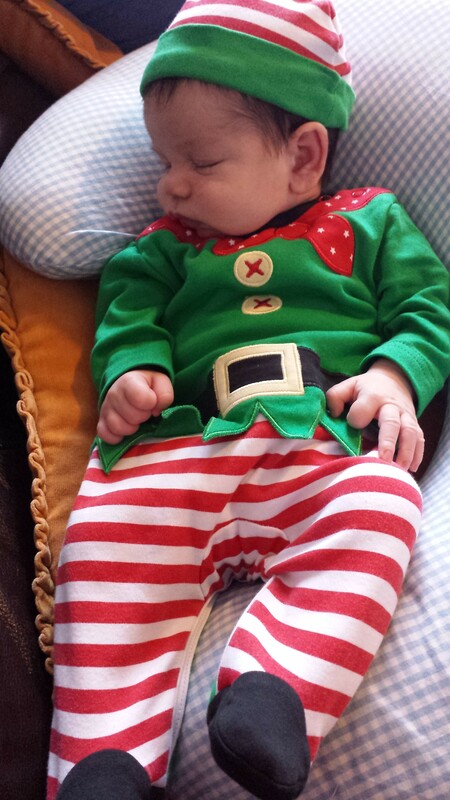 This entry was posted in Child Death, Child Loss, Grief, Loss, Love, Memories, Sepsis and tagged child death, child loss, christmas, guilt, life after loss, loss, love, memories, sepsis, William by amotherwithoutachild. Bookmark the permalink. Christmas will never be the same I lost my darling 5months daughter on 24th Dec 2017 and burried her on 25th it hurts so much sometimes I can’t breathe.her death crushed me in that I have no future plans as per Now all I want is to join her. Rest in peace Amber my girl.